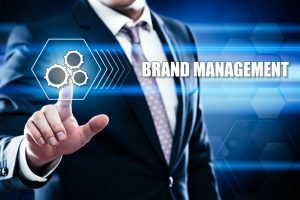 Brand protection: protecting clients who have developed their private label brands against hijackers, counterfeiters and also protecting consumers around the world. Soon to be released: a book on how private label sellers can protect their brand on Amazon. Our firm can help monitor online retailers such as Amazon and make sure that only sellers that the band has authorized to sell their merchandise, their logos, their lyrics, are the only ones selling the merchandise. If you are making money through the sales of your merchandise and if you are losing money from other people selling your merchandise, we can help you. If you have not provided a license to a company and they’re selling your t-shirts with your album art, the names of your songs, with your lyrics, they are violating your intellectual property rights whether you file for protection or not. And most bands don’t know this – you can STOP COUNTERFEITERS FROM SELLING YOUR PRODUCT so that every single fan that wants to purchase a t-shirt with your image on it, or your logo, you can reap the benefit of that sale. The way we operate: We reach out to those sellers through a cease and desist letter. We’ll send them a notice that we prefer not to make a complaint. We prefer not to put them out of business, but they have to stop selling merchandise with your intellectual property rights on them. We are very effective at protecting private label sellers and having Amazon remove those sellers if they are infringing upon your intellectual property rights. Since our main focus is on Amazon-related issues, we are very efficient and cost-effective.